This stove version of the Studio 2 inset fire offers you up to 8kW of heating capacity as well as superb views of the flames. 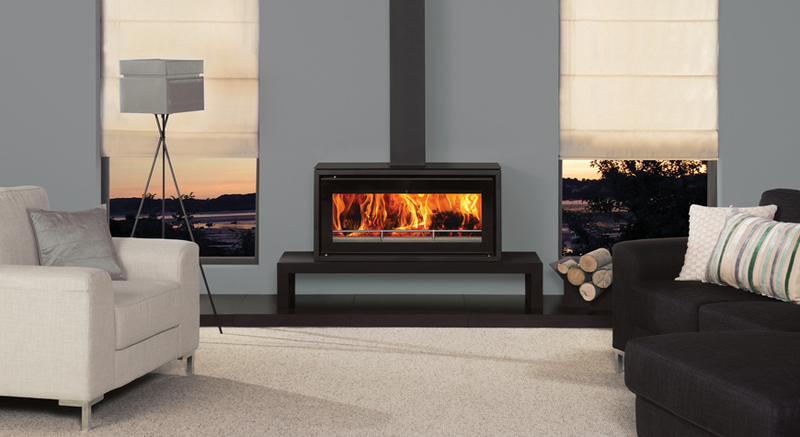 Featuring exactly the same firebox attributes as other Studios, the Studio 2 Freestanding wood burning stove may be mounted on a hearth or installed onto your choice of six optional Freestanding benches. 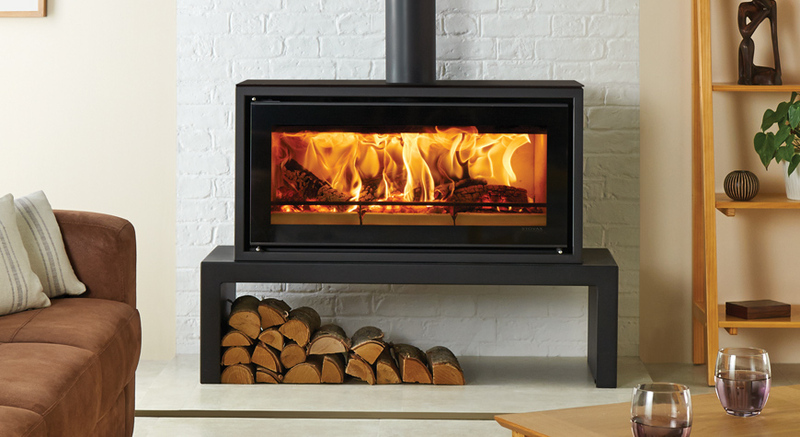 You can also specify options such as a black glass top plate, gloss black enamel flue pipe, and square section flue cover t0 create your own bespoke look.